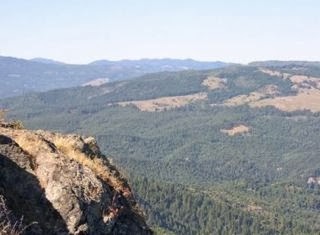 THPBlog: Green Diamond Resource Company to clearcut east of Eureka, CA. Green Diamond Resource Company to clearcut east of Eureka, CA. This THP is about 6 miles east of Eureka, CA and Highway 101 at an elevation of 2,200 to 3,000 feet. Green Diamond Resource Company is planning a mostly clearcut feller buncher and shovel logging operation in redwood, Douglas fir and western hemlock forests. The THP area drains into Jacoby Creek which is listed as impaired for sediment, and the Mad River which is listed as impaired for sediment, temperature, and turbidity. Over 7000 feet of new temporary road is planned for construction, and a steep road is proposed for 450 feet in Unit B between 16% to 19% grade. More information is available on the THP Tracking Center website.